The Movuno.com Halsall Racing Suzuki team is ready for the first home round of the year as the Bennetts British Superbike Championship moves to Oulton Park this Bank Holiday weekend. Fresh from the official test at the Cheshire track last week, Bolton-based entrepreneur Martin Halsall and the squad are looking forward to returning to action, with Superbike rider Tommy Bridewell and the team’s Pirelli National Superstock 1000 rider Tom Ward hoping for solid results. Bridewell is looking to build on his two top 10 finishes at Brands Hatch Indy last month, and is feeling confident after the test, where the team worked hard to iron out a few niggles with the Suzuki GSX-R1000. And he is keen to return to a track which he enjoys. “I’m looking forward to it, it’s always been a good track for me and can bring some really close racing,” he said. “It’s a real rider’s track, quite demanding and it takes a lot of focus but it’s definitely one I enjoy. “The test obviously helped us massively, it gave us a chance to eliminate little issues we’d found and I think we’ve now got a much better understanding of where we are and what we need to do to get where we want to be. Tom Ward, meanwhile, is also keen to climb higher up the order this weekend, as he continues to get to grips with the 1000cc machine. Having already made strong progress in his first season in the championship, he too believes he has benefited from the test. “We definitely had a decent day at Oulton last week, we used it to try a few different things to help move forward,” he said. “We achieved a lot and I think every step we made was positive, so it certainly puts us in a nice position ahead of the weekend. Team owner Halsall is hoping his team’s local round will bring further improvements, and is feeling confident, in light of the progress made at the test. “The team really benefitted from some valuable track time at last week’s test, and we’re continuing to push forward with the development of the Suzuki,” he said. “Tommy is eager to break into top five and challenge for podiums this weekend, and the team has been working tirelessly to nail a few issues and make the improvements we believe we needed to make. “Tom continues to make steady progress on the Superstock bike and having already started to make big strides forward, he’ll be keen to break into the points this weekend. The Movuno.com Halsall Racing team can today confirm it is withdrawing from the Bennetts British Superbike Championship. The Movuno.com Halsall Racing Suzuki squad can today confirm it will run 2015 Moto3 World Champion Danny Kent at the final round of the BSB Championship this weekend. The Movuno.com Halsall Racing Suzuki team has taken the tough decision to withdraw rider Chrissy Rouse from this weekend’s BSB races at Assen. The Movuno.com Halsall Racing Suzuki team is heading across the North Sea this weekend as the BSB Championship gears up for its annual trip to Assen. The Movuno.com Halsall Racing Suzuki teams weekend at Oulton Park for the tenth round of the Bennetts British Superbike Championship. The Movuno.com Halsall Racing Suzuki team is continuing its support of young riders by loaning Kyle Ryde its Yamaha R6 Supersport machine for this weekend’s BSB Championship round. Tom Neave will pilot the Movuno.com Halsall Racing Suzuki at round nine of the BSB Championship at Silverstone, as he stands-in for the injured Chrissy Rouse. Chrissy Rouse will sit out of the next round of the Bennetts British Superbike Championship as he recovers from a crash at Cadwell Park last weekend. 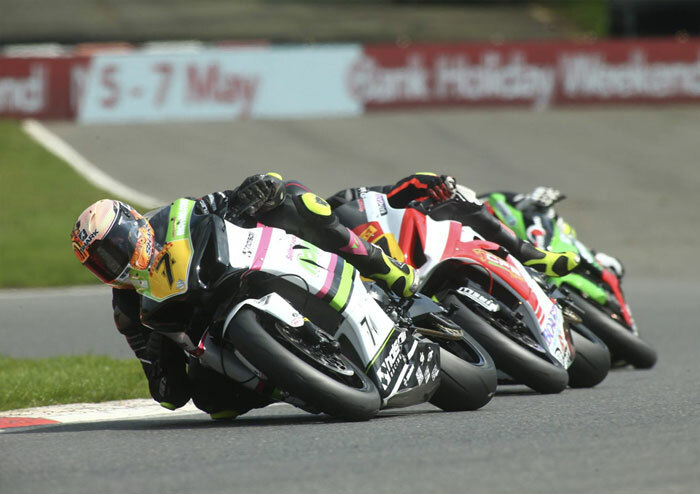 The Movuno.com Halsall Racing Suzuki team is gearing up for its annual visit to Cadwell Park, with riders Chrissy Rouse and Tom Ward eager to get back in action. The Movuno.com Halsall Racing Suzuki teams weekend at Brands Hatch for the sixth round of the Bennetts British Superbike Championship. The Movuno.com Halsall Racing Suzuki team has taken huge steps forward after banking a solid haul of points as the Bennetts British Superbike Championship returned to Brands Hatch. The Movuno.com Halsall Racing Suzuki teams weekend at Knockhill for the fith round of the Bennetts British Superbike Championship. The Movuno.com Halsall Racing Team is back in the Bennetts British Superbike Championship this weekend with Chrissy Rouse aboard its Suzuki. Tom Ward scored his best result to date in the Pirelli National Superstock1000 Championship as he flew the flag for the Movuno.com Halsall Racing Suzuki team at Snetterton. The Movuno.com Halsall Racing Suzuki squad can today confirm it has terminated its contract with rider Tommy Bridewell. 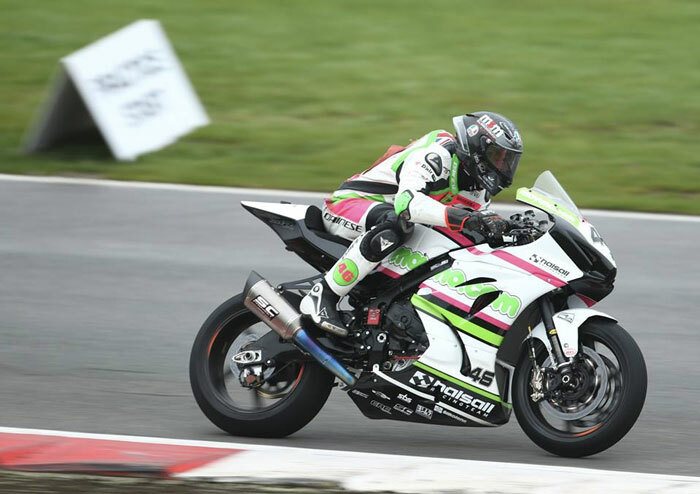 The Movuno.com Halsall Racing Team is gearing up for the return of the Bennetts British Superbike Championship this weekend as the UK’s premier motorcycle racing series heads to Snetterton. THE Movuno.com Halsall Racing team will have a presence at the 2018 Isle of Man TT Races after stepping in to offer roads racer Daley Mathison a bike. The Movuno.com Halsall Racing Suzuki teams weekend at Oulton Park for the third round of the Bennetts British Superbike Championship. The Movuno.com Halsall Racing Suzuki team continues to make big strides forward after the third round of the Bennetts British Superbike Championship at Oulton Park. Legendary team boss Colin Wright is to join the Movuno.com Halsall Racing Suzuki squad as team manager. The Movuno.com Halsall Racing Suzuki team made strong and steady progress after Tommy Bridewell scored two top 10 finishes at Brands Hatch. The Movuno.com Halsall Racing team is looking ahead to the rest of the Bennetts British Superbike Championship season after a tricky weekend at Donington Park. The Movuno.com Halsall Racing team is ready for its return to the Bennetts British Superbike Championship, as the 2018 season kicks-off. Tommy Bridewell is returning to the Halsall Racing fold after inking a deal to contest the 2018 British Superbike Championship on Suzuki machinery.